Through the first six Harry Potter films, everything was nicely structured around a school year. Though pacing could occasionally change, it still flowed nicely within a comfortable range. In the seventh film, the school calendar is removed, and we are left guessing at the passage of time, knowing only that some parts seem to drag where no time passes at all, while two and a half months pass in under fifteen minutes. My edit attempts to correct this, fixing the pacing through two carefully chosen deleted scenes. Amazingly, these scenes fix not only the pacing but also many pieces of broken and missing narrative, while adding a little bit more humanity as well. Though not a huge change in edit, the impact can be felt all the way through. - Added “The Dursley House” Deleted scene with Aunt Petunia. - Added the Trio discussing the Locket. - Added September, October, and November as title overlays to help show the passage of time. A very good extended edition that achieves a lot with just a little. The Aunt Petunia scene at the beginning, to be fair, I could do with or without. It's a nice scene but I can understand it being cut to fasten the pacing of the pre-title sequence and get the story moving ASAP. The horcrux discussion scene, however, is absolutely essential, as it explains something that came across as extremely lazy writing in the theatrical: why Harry keeps saying "You-Know-Who" in this one when he never seemed afraid to say "Voldemort" before. It also gives a reason to why saying the name is considered so dangerous in general, something that seemed just superstition in the earlier entries. And this danger manifests in the attack to the Lovegood house, which now is, or appears to be, triggered by Mr. Lovegood saying the name. Sometimes just a little change makes all the difference in the world. The editing itself is undetectable and completely professional. Audio/video quality is very good, particularly given that the version I watched was the AVI, the only one which seems to be currently available, and for a 1.17GB file of such a long movie it's of amazingly high quality. I'm, however, substracting one point because the audio is 2.0 and not 5.1, turning the added scenes 5.1 may be tricky but it's doable and would have improved the final result. The movie still could use some trimming in the camping scenes, but so far this completely replaces the official version for me. This is what extended editions are all about. "The Col. Hutty Method of Review"
I own many movies. I watch many fanedits. Some fanedits good, some fanedits no good. 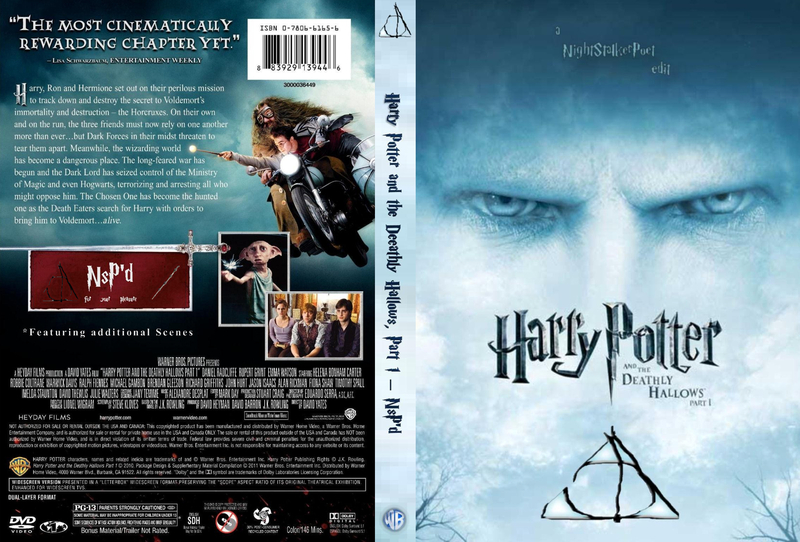 When I saw Harry Potter and the Deathly Hallows, Part I in the theater, I liked everything but the long, dead spot in the middle. The camping scenes dragged interminably, and I couldn’t wait for the film to pick up the pace. But what seemed to me like a waste of film became an opportunity to NightStalkerPoet. 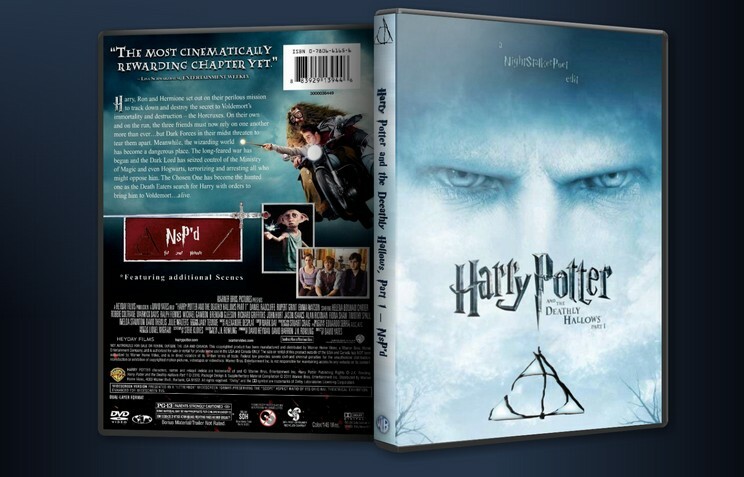 Adding the horcrux discussion gave the camping scenes purpose, allowing time for plot and character development that the theatrical version wasted. The subtitled months served a similar purpose, breaking up the monotony just enough to move the plot along, without rushing it. I viewed the blu-ray version with 2.1 sound. The audio and video quality was excellent, with transitions so smooth, it was hard to tell which scenes were added. All told, this edit is wonderful. It was like a good soundtrack … creating just enough impact to improve the story, without intruding on the viewing experience. I wouldn’t have thought such small changes would make such a big difference, but they did. Excellent job! I have watched the avchd version of his edit on my Blu ray player, hd dlp projector on a 106″ screen and audio through my 1700watt 6.1 set up. I too have always felt that a lot of info that someone who has not read the books(like me) find the movies harder to follow and by adding these particular scenes back in do help a lot and I must say nightstalkerpoet has done it well. 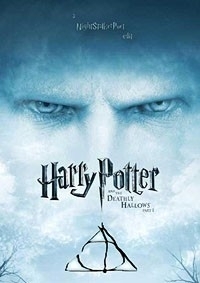 I originaly saw the picture at the cinema with my wife, who is a big Potter fan and has read the books. We did enjoy it but both felt that there were scenes missing or little bits of info missing. In nightstalkerpot’s edition the cut scenes are intergrated seamlessly and cleverly, and do help with the overall narative of the movie. The scenes added are of Harry’s auntie Petunia speaking to Harry as the Dursley family are leaving their family house at the begining of the movie, and the second is of Harry, Ron and Hermione discussing the horcrux in the tent in a forest approx a quarter through. They both added a bit more info and depth to the story and surrounding scenes. I couldnt detect any difference in the audio conversion of the added scenes and the addition of the months passages in text didn’t feel out of place and again helped with the overal feeling of bleakness and dispair this movie can give the viewer. Picture and audio were flawless and as I say watching it on my set up you do notice if not done well. You’ve done an excellent job and will be watching your edition over the original release for future viewing. Thanks for sharing your edit and well done.